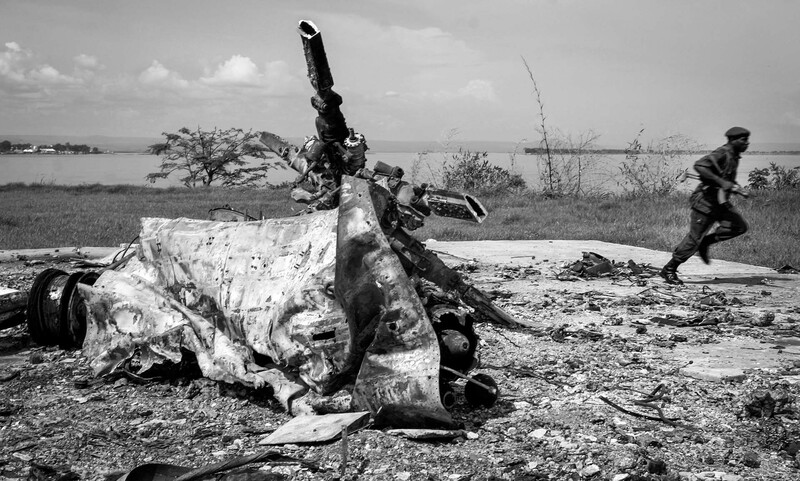 Charred remains of the helicopter belongs to Jean Pierre Bemba, presidential candidate for the Democratic Republic of Congo, lie next to his office along Congo River in Kinshasa Thursday 26, 2006. Bemba is facing the run-off election with the current president Joseph Kabila on Sunday, the 29th of October. The night before the preliminary results for the election was announced n August, gun battles between solders royal to both candidates broke out, and Bemba's helicopter was destroyed in the process.